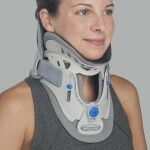 Suffering from a neck injury such as whiplash? 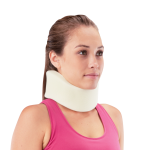 Highland Orthopedic Supply has a large selection of cervical collars and therapy products indicated in the treatment of neck injuries. We carry leading brands like Breg, DeRoyal, and Medi-Stim. We have conveniently included the HCPCS code for each product under its picture for you to use in reimbursement from your insurance company.